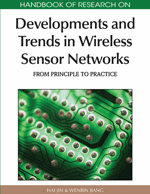 Transmission control is an important issue for supporting Quality of Services (QoS) in Wireless Sensor Networks (WSNs). This chapter gives an introduction to the transmission control relevant protocols and algorithms, often developed for particular applications to reflect the application-specific requirements. According to the functionality, the existing works can be categorized into three main types: congestion control, reliability guarantee and fairness guarantee. Due to the unique constraints of WSNs, these transmission control protocols are not “cleanly” placed on top of the network layer, but call for careful cross-layer design. In the end, some exciting open issues are presented in order to stimulate more research interest in this largely unexplored area. The transmission control protocol plays an important role in achieving transport reliability and guaranteeing information fidelity. Given that an interesting event has indeed been detected, the relevant information has to be reported reliably from the event spot to the aggregating sinks, which are often located several hops away. Meanwhile, users may often want to disseminate task settings or query commands through the sink node, which also requires reliable data delivery from sinks to individual or groups of sensor nodes. Failure to deliver important data in the network can hurt the applications’ objective, and even defeat the very reason why the sensor network was deployed. In the Internet, both the network layer and the transport layer play an important role in achieving data transport reliability. The network layer offers a best-effort service to provide available routing paths among network nodes, while the transport layer is responsible for achieving reliable delivery, congestion alleviation and fairness guarantee. Unlike in the Internet, transmission reliability in the sensor network can’t be provided predominantly by transport layer mechanisms of end systems, such as TCP and UDP. Rather, the inherent tradeoffs between transmission reliability, QoS provision and resource constraints require the adoption of cross-layer solutions. Congestion Control: Congestion occurs when offered traffic load exceeds available network capacity. It can not only degrade information fidelity but also waste node energy. Therefore, congestion must be effectively and efficiently controlled, either to avoid it or alleviate it. Generally, there are three mechanisms that deal with this problem: congestion detection, congestion notification and congestion control. Reliability Guarantee: Reliability guarantee requires the ability to detect and repair packet loss in the network. The protocols for dealing with this issue in WSNs can be sorted into two main categories: retransmission-based and redundancy-based. Fairness Guarantee: The constraint resources in WSNs are shared with all sensor nodes. The transmission control protocols need to provide fair resource allocation among all sensor nodes according to the specific fairness policy, so that the sinks can obtain a fair amount of observation data from the whole network. In general, the fairness can be implemented as an integrated part of the congestion control protocol or as an independent control protocol. Currently, there is no single solution covering all the above design points. However, relevant solutions have been developed for a single point or small point sets. A detailed taxonomy of the transmission control paradigms in WSNs is shown in Figure 1. The transmission control has to comply with the stringent resource constraints in energy, memory and communication of sensor nodes. Wireless Sensor Networks: wireless networks consisting of spatially distributed autonomous devices using sensors to cooperatively monitor physical or environmental conditions, such as temperature, sound, vibration, pressure, motion or pollutants, at different locations. Transmission control: control mechanisms working on transport layer to gain more QoS of the network, including congestion control, reliability guarantee, fairness guarantee and so on. Reliability guarantee: schemes to detect and repair packet loss in the network. Congestion Control: control mechanisms to detect, notify and avoid or mitigate the traffic congestion in the network. Queuing management: schemes to adjust the packet transfer via queue schedule. Traffic control: methods to control data flow in the network, which includes source rate control, forward rate control and so on.